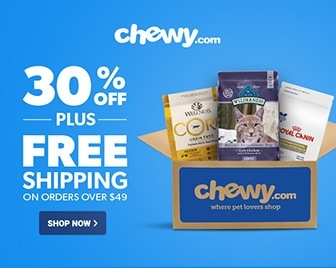 Looking for the best dog food for Shih Tzu, Maltese, and French Bulldogs? If you want to feed your dog the best, you need to do better than asking other dog owners. With the wide variety of dog food available on the market, it's no wonder that you're confused. Choosing the right food for a small breed dog is challenging. There's much to consider like physical activity, weight, and temperament of your dog. Only then can you move forward with the right kibble size and food type. In this guide, I'll walk you through the best dog food for Shih Tzu, Maltese, and French Bulldogs. You no longer have to rely on second-grade opinion to find the best food for your companion. Sounds simple enough? So let's begin. Making sure you’re feeding the right set of ingredients to your dog is essential. Does the dog food contain artificial preservatives? Is it grain-free? Or is it a meat concentrate diet made with meat meals rather than fresh meat? There’s a lot to look forward to, but only a few to consider when choosing the perfect fit for your dog. 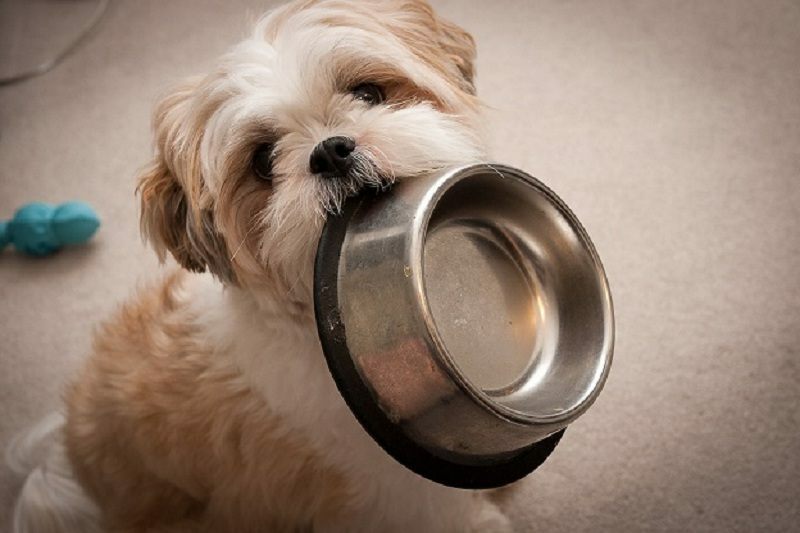 Here is our recommendation for best dog food for Shih Tzu, Maltese, and French Bulldogs. Followed by an in-depth review of each product focusing on each brand’s pros and cons! The best way to introduce a nutritious diet into your dog's life is with a hearty brand. And no one understands this better than BLUE Buffalo. With its Life Protection Formula for small dogs, it serves healthy chicken and brown rice. Each kibble is replete with protein-rich and fibrous chicken and rice. This, according to studies, is good for muscles, coat, and bones. There are plenty of reasons why this is the best dog for Shih Tzu, Maltese, and French bulldogs. Firstly, it's a light meal created for improved holistic health and well-being. Secondly, the proteins and carbs are good for muscle development as well as energy. This is a clear winner among small breed dogs since it has all the vital nutrients to support the body. If you're worried about it featuring by-product meals such as soy, wheat, or corn, this dog food has no need of it. It is healthy and positive without artificial flavoring too. So you have a complete holistic meal for your dog's health. For treating medical conditions, this one works well against stomach infections. These include vomiting, diarrhea, gas, and constipation. The digestible nutrients keep your dog's tummy placid and stable. As your dog gets older, weight gain is a serious health concern. Switching to this food is important as it helps regulate metabolism for weight loss. It's considered good for bone health against old age problems such as arthritis. Arthritis is also associated with obesity in small breed dogs. You don't want to miss the immune boosting properties of the nutrients present in this food. That's because it contains vitamins and chelated minerals! But if you're finding it hard to get your dog used to this food, try using a healthy ingredient to mix with the food. Add fresh chewables to boost the delicious flavor of the food to get your dog interested. Continue doing this for about a week or two. The food transition will go over smoothly and your dog will finally love it as much the last dog food she was on. This dog food contains tiny amounts of garlic, which your dog may be sensitive to. So looking into your dog's food sensitivities before introducing this food is essential. Even though garlic has good health benefits for dogs, it can cause a severe allergic reaction. There's nothing about the Taste Of The Wild Appalachian Valley that you won't love. It comes nutrient-packed with prebiotic fiber, proteins, fat, and probiotics. It's the best tummy food for every mood. It is the best dog food for Shih Tzu, Maltese, and French Bulldogs. But it's mostly the best fit for Shih Tzu dogs. Considering the content of omega fatty acids and grain-free carbohydrates! Both these nutrients are good for energy and immune health. What I also found was that ingredients such as the peas and lentils add flavor. This is essential in case your dog is particular about her diet. The venison meal provides that burst of flavor coupled with minerals as well as vitamins. You will also find that the Taste Of The Wild is plenty with 32% of protein. And this range is best for boosting metabolism for weight management. The level of proteins helps regulate faster digestive responses for aging dogs. The thing about aging breeds is that they’re prone to weight gain due to reduced physical exertion and bone weakness. So finding the ideal fit packed with proteins and fiber to promote lean muscle mass is important. For treating food allergies, this dog food remains unmarked as a limited diet food. This means that it contains enough nutrients that don't trigger any type of allergies. Need supplementary nutrients for extra health benefits? This best dog food has them all. It contains good amounts of duck, egg, and ocean fish. So it completes the meal with nutrients that promote nutrient absorption and flavor. Supplementary nutrients are essential because they encourage your dog to eat well and more. And there is less chance that your dog will get bored of the same kind of food. If your dog is prone to weight gain or has a slower metabolism, don't go for this food. Due to the high-fat nutrients, it may lead to quick weight gain in small breed dogs. If your dog has special needs, whether young or old, opt for the Wellness Complete Health Natural. It offers a balanced and nutritious diet with a kibble so soft and chewable. Each kibble is replete with turkey, oatmeal, and salmon. It is a specially-formulated meal that works for weight loss and management. So if you have a senior dog with special diet needs, this product is good for her. It has the basic nutrients such as vitamins, proteins, and minerals. What’s more is that it also offers omega fatty acids and amino acids for better health. This makes it the best dog food for Shih Tzu, Maltese, and French Bulldogs. Sometimes, special dog food often side-step basic nutritional needs of a dog. This includes whole foods and essential vitamins which are necessary for body development. But this best dog food for Shih Tzu, Maltese, and French dogs is supreme. It covers immunity, dental health, eyesight, skin, and coat. It even surpasses expectations based on the antioxidant content it has. Antioxidants boost immunity, especially for young and senior dogs. And the omega antioxidants boost eyesight and skin. So say goodbye to dealing with flaky skin, dandruff, or dryness. This best dog food has got you covered for your dog's long-term health and well-being. The best way to transition to this dog food is with combination feeding. This method is also known as combination feeding. Where you use supplementary foods such as your dog’s previous meals and combine it with new food. Continue with combination feeding with a bowl of clean water next to the feeding bowl. Although this dog food has no food additives or fillers, it contains chicken meal. Chicken meal is a combination of chicken flavoring which may or may not suit your dog. The chicken flavoring is present specifically to increase flavor. While wet food isn’t my first choice for the best dog food for Shih Tzu, Maltese, and French Bulldogs, it’s still a choice. This one is a good wet food brand for senior dogs. It contains the right amount of ingredients for a balanced and nutritional meal. The main ingredients are chicken, fish, broth, carrots, barley, and sweet potatoes. So it's a complete vitamin, protein, minerals, and omega acids package. What's more? It even contains riboflavin supplement for added taste. And you already know that supplementary nutrients are good for not only flavor but health too. This best dog food supports digestion and metabolism. The soft, gooey consistency regulates proper bowel movements. So digestion problems such as constipation, diarrhea, vomiting, etc. are all avoided. Unlike other wet food brands, this one doesn't hold a pungent smell. You can store it in a refrigerator and the food holds its texture well after you take it out. The best time to feed the Wellness Complete Health Wet Food is during the summer months. Based on your dog’s lifestyle, mixing the wet food with frozen treats or dry food is essential. It promotes a balanced diet than just serving regular wet food. You will find that your dog enjoys both wet and dry food together than only wet food. Unless he shares the natural tendencies of a cat! It’s important to finish each can of wet food as quick as possible. This brand, in particular, can serve up hard mush instead of a soft gooey consistency if stored for too long. The Natural Balance Limited Ingredients Dry Dog Food deserves a Shih Tzu, hands down. This food suits dogs with allergies, indigestion, muscle weakness, and more. So if you're looking for high-quality ingredients in moderation, this is a good choice. The grain-free ingredients give you more control over your dog's food. According to studies, this is a strict Limited Ingredients food. This means it contains specially-formulated foods such as potato and duck formula. The former offers high-quality carbohydrates. While the latter is a good source of healthy proteins. This is the kind of food your dog will actually want to eat. The duck and potato formula adds plenty of nutrition and flavor. So you can't beat the convenience of having it right at your doorstep! Because it has limited ingredients, it is the best dog food for Shih Tzu, Maltese, and French Bulldogs. It has the right nutrition to support a healthy gut, teeth, and hair. So you can feed this to your Shih Tzu from puppy-hood into adulthood. If your dog has bad skin problems, you need less inflammatory protein sources in the food. With duck as one of the ingredients on the list, it has the least inflammatory properties. This makes it an excellent protein source for treating skin sensitivities. The Natural Balance Limited Ingredients Food might cause a slight weight gain. So serving up a moderate amount of food on a daily basis is necessary. Unless you want your dog to gain some weight for energy. You will no longer feel insecure with this best dog food for Shih Tzu, Maltese, and French Bulldogs. Rachael Ray has been creating nutritious recipes for dogs with simple ingredients. So it's no surprise that your dog will benefit the most from this dog food. The Rachael Ray Nutrish Natural Dry Dog Food contains healthy chicken and veggies. It's replete with high-quality proteins, vitamins, chelated minerals, and fiber. Plus, the veggies are wholesome in myriad ways. That is if you think peas, carrots, and brown rice is good for your dog's health. It also contains natural fat which is good for coat health and shine. For a small breed dog, you can start with this food as an immune booster to fight all kinds of digestive problems. While the health benefits of feeding protein and fats are plenty, it's time to include the good carbs. The brown rice contains healthy amounts of nutrients including fiber and carbs. That could be a good choice for your puppy as it will meet her cravings as well. Fiber is a good food palate booster, which is best for picky eaters. The balance of flavor and healthiness of this dog food is worth investing on. Don't you think? I'd like to shed point out that this dog food contains about 54 cups of kibbles. So if you feed your pup 3 cups a day or less, on an average, this should last you for 14-15 days. It's the ideal amount of food to buy for a small breed dog. Such dogs don't demand a strenuous lifestyle. But it's critical to meet their basic nutritional needs on a daily, weekly, and monthly basis. This involves a healthy punch of nutrients and regular exercise. With this best dog food for Shih Tzu, Maltese, and French Bulldogs, consider your needs met. This recipe isn’t grain-free which may be a problem for some dogs. According to studies, feeding your dog a grain-free diet can eliminate allergic symptoms. This includes itchiness, bald patches, and excessive hair loss. The Hill’s Science Diet contains healthy chicken meal with rice for a wholesome diet. It's the ideal dog food for small and toy breeds to support immunity. If you've tried all kinds of dog food and nothing works for your pup, try this. The natural, high-quality nutrients present in it make everything much simpler. The fact that it comes with antioxidants and no artificial fillers is impressive. You also get to serve vitamin C and E for boosting immune health. It also contains amino acids and minerals for eye, skin, and coat health. You'd also be happy to know that this is the most recommended dog food by veterinarians. It creates an essential balance between health and flavor. The kind your dog will love. The kibbles are small and easy to digest. Since they’re dry food, the product is bound to make your dog thirsty. So keeping out a bowl of fresh water is important. 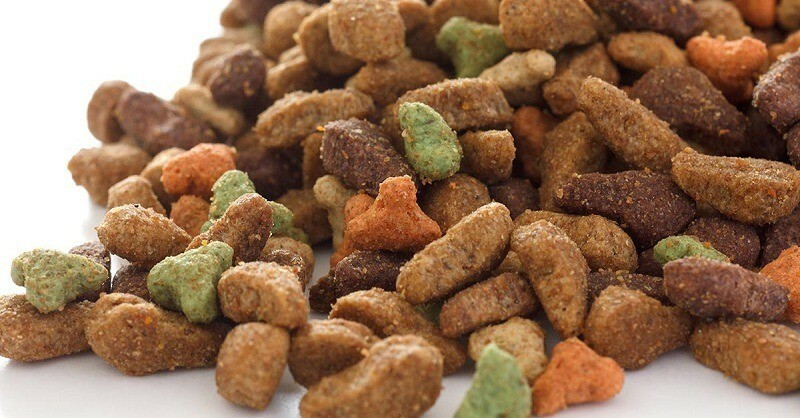 Dog snacks and treats never provide proper nutrition. And most dogs will eat most treats because of the flavoring and filler ingredients found in them. But that's not the case with this best dog food for Shih Tzu, Maltese, and French Bulldogs. It's also important to note that some dogs shy away from certain kinds of food with a strong smell. No matter how hungry they are, they won't eat what they don't like. The food pieces found in this packet do not hold any such whiff. The chicken and rice combination keeps the food fresh and ready-to-eat. Due to a high protein content and carbs and fat content, feeding your dog least amounts is important. This is because the Hill's Science Diet contains chicken meal which meat concentrate. Meat concentrate, especially of chicken has 300% more protein than chicken. 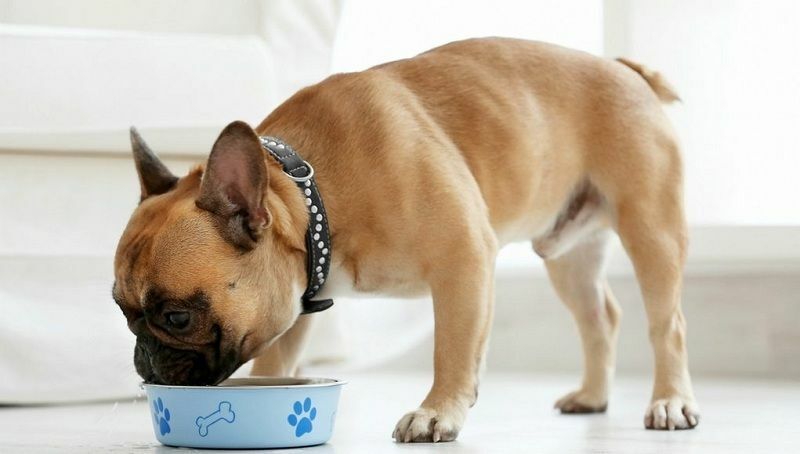 This best dog food contains higher amounts of fats and carbs than other brands. Even though fats and carbs have their own health benefits, they promote weight gain. They may not sound very appetizing for most dog parents. High on proteins and carbohydrates, the Halo Spot's Stew Holistic is a catch. It contains good ingredients like chicken, turkey, salmon oil, whole peas, and eggs. While it also promotes a stronger immune system, its best quality is to fight muscle weakness. It promotes lean muscle mass while strengthening the joints and bones. Plant-based ingredients, which are present in this product, are good sources of carbs. They have a high biological and nutritional value. All the same, it's good for easing digestive problems. Another essential ingredient found is vegetable broth. Vegetable broth adds flavor as much as moisture to the food. As a result of which the kibbles become soft and easy to digest. This also has a major advantage for dogs who generally are picky eaters. The nutritional benefits of this best dog food are in no way harmful to puppies or adult dogs. It even contains dietary fiber and other probiotics for aiding weight loss. On top of that, the chelated minerals promote nutrient absorption in the body. It contains good amounts of nutrients for well-being. So you don't have to settle for low-quality food. Especially when the best dog food for Shih Tzu, Maltese, and French Bulldogs are so widely available on the consumer market! The protein-to-fat ration of this food amounts to 50%. This means it has both protein- and fat-boosting effects on your dog’s body. That said, each kibble contains a moderate amount of meat and plant-based ingredients. Feed this food to your dog once a day with another variety. According to the packaging details, it is supposed to be a grain-free product. But based on my testing, it isn’t. So if you’re sourcing for ingredients that are grain-free, this isn’t the right product for you. The Merrick Grain Free Dry Dog Food is a product of an honest and reliable brand. Made with real salmon and sweet potato, this is the best dog food for Shih Tzu, Maltese, and French Bulldogs. If you're nursing your pup to good health, having this dog food by your side is essential. It has all the right ingredients to soothe a sensitive stomach, allergies, and aging. More importantly, it supports the balanced nutrition of dogs from puppy-hood to adulthood. It comprises of proteins, omega fatty acids, and other high-quality nutrients. In contrast to some dog food brands, this product has 100% naturally-sourced ingredients. This makes it a compelling contender on this list. As for the health benefits, I found that it also promotes a healthy and shiny coat. It prevents problems related to sensitive skin such as itching, dryness, etc. The reduced fat, high-quality protein, and glucosamine make it true-hearted. The glucosamine helps support joint health for better mobility. This is especially important when your dog is entering her older years. So a grain-free formula, such as this, helps regulate better muscle coordination too. You must know the difference between GMO and grain-free. Only because the product is labeled grain-free doesn't make it GMO-free or organic! GMO ingredients, according to many studies, imply the presence of antibiotics in the dog food. What I didn’t like about this dog food is that it affects your dog’s stools consistency. You might find that your dog is passing stools more or less often due to the change in diet. Are you looking for food that's healthier and light? Try the Eagle Pack Natural. It is the perfect blend for pure breed dogs with weight problems. It contains no corn, wheat, or meat by-products. So controlling the carbs and fat content is possible. This product is best if you want to create a light-hearted meal for your pup. You can start with small amounts to fuel your dog's daily diet. It contains fewer calories, proteins, and vitamins. Furthermore, the chelated minerals and antioxidants blend supports daily immune function. If you need something to support muscle function, it also contains animal proteins. The triple animal proteins strengthen muscles from puppy-hood to older years. It's hard to find the right ingredients for specific breeds. Only high-end, organic, and nutritious products work. Everything else either causes more digestive problems or skin allergies. Not to forget, your dog is more likely to ignore the food if it lacks good flavor. But with this best dog food for Shih Tzu, Maltese, and French Bulldogs, you don't have to worry anymore. Be it a small or big dog, you can combine the goodness of this food with any other kind of nutrient supplements. Serve a small amount of water along with a spoonful of wet food. This works if your dog is refusing to eat the food on the first try. It’s very common for your dog to neglect new food. So to make that transition easier, combining it with different kinds of food is important. The kibble size is too small, which may be an issue for bigger dogs. For puppies, it has the perfect texture and size for chewing. So if you want larger kibbles, this product may not be right for you. The Wellness CORE Natural is the quintessential meal for your French Bulldog. It contains plenty of nutrients for skin and hair health. And it also reduces risks of skin sensitivities, rashes, sores, and other problems. Your dog will thrive eating this best dog food on a daily basis. And it does wonders to improve digestion and immune health. It is the absolute protein powerhouse for supporting lean muscle mass. And you already know that French bulldogs are quite the active breed. So finding something that boosts muscle health and increases stamina is important. This is the best dog food for Shih Tzu, Maltese, and French bulldogs. Why? That’s because it contains a mix of antioxidants, probiotics, and omega fatty acids. And we all know what health benefits each of these nutrients have. For example, the antioxidants in this food help fight immune problems and aging. This is helpful if your French bulldog is sensitive to dust and harsh climates. Such external stimulus can potentially harm the immune system first. It gets rid of oxidants that boost a healthy bodily response towards the environment. The omega fatty acids are good for circulation and eye health. So for your dog's long-term well-being, you need this dog food by your side. Feed this to your dog only when she’s over a year old. It doesn’t have the nutritional requirements for puppies. Another important aspect is to keep out fresh water after every meal as dry food can make your dog thirstier after eating. The recipe lacks supplementary nutrients, which is not food for picky eaters. Even though this is a meat-based product, there is a possibility that your dog will choose not to eat it. What is natural grain free pet food? Are you looking for something specific to senior dogs? Try the AvoDerm Natural Dog Food. It comes with a concentrated formula comprising of natural chondroitin sulfate and glucosamine. These two ingredients regulate a stronger immune response in older dogs. It supports bone and joints health for better mobility. While it takes charge of preventing arthritic-related problems. The main issue with aging dogs is bone loss and weakness. Once this is under control, the body automatically responds well to a balanced meal. Nutrients that promote brain health are also a part of this meal. All the more reason to buy the best dog food for Shih Tzu, Maltese, and French Bulldogs! The kibbles are small, digestible, and brimming with flavor. At the same time, they are crunchy enough to support stronger teeth and prevent tooth decay. While other senior dog foods only cause weight gain, this will trim your dog to the ideal weight. And if your dog is struggling with uncomfortable bloating or diarrhea, this will help as well. It has all the right ingredients that matter to your dog's well-being. If the kibbles are too crunchy to chew for your dog. That is if she has a dental condition, adding some water to it will make it gooey. But add only warm or slightly hot water and keep it aside for 10 minutes for the kibbles to soften. The AvoDerm Natural Dog Food might be a bit too salty for some dogs. You can easily make if your dog is consuming too much water after every meal. You can rely on the Blue Homestyle Recipe Wet Dog Food. It contains deboned lamb coupled with whole grains and vegetables. It has an ingredient reading of proteins, fats, and carbohydrates. And the fat-to-protein ratio is at least 70 percent. This is the kind of wet food your dog will want to eat. It smells delicious and fresh. And contains no artificial fillers or preservatives! And isn’t that the true mark of the best dog food for Shih Tzu, Maltese, and French Bulldogs! Furthermore, you can store it in a refrigerator for as long as it allows. What I liked most about it is the balanced nutrition it provides. Ideal for Shih Tzu, Maltese, and French bulldogs; it’s the best wet food for small and toy breeds. You can feed this to your puppy right into adulthood. Some say it even has health benefits that support aging. These cans have holistic properties, much more valuable and inexpensive than commercial brands. If you think that a low price means low quality, the Blue Homestyle Recipe will prove you wrong. The peas and sweet potatoes present make excellent dietary fiber sources. Potatoes are also good for carbohydrates which aid digestion relief. Sweet potatoes and brown rice, which are complex carbs, are easy to digest. And they’re also good for energy production, which is an important factor for puppies. The best way to eat this wet food is by combining it with dry food. It offers a modest nutritional value for your dog’s well-being. And if your dog is under medication, it’s easy to hide a pill in. So you no longer have to struggle with your dog to get her to swallow her pills. It contains a gelatin-like agent, carrageenan, which might be harmful to your dog. That is if she has skin allergies or a sensitive stomach. Carrageenan is a food additive for preserving meat and plant-based foods. It uses carrageenan as a food additive. When you combine lamb meal, brown rice, beet, and ground rice, you get the Rachael Ray Nutrish Just 6. This product line features a natural and healthy dose of nutrients. Based on its calorie count, it's the best dog food for Shih Tzu, Maltese, and French Bulldogs. The primary ingredient found in this food is lamb meal. Lamb meal offers a good amount of protein which is easy to digest. The brown rice offers plenty of carbs and fiber, which is the natural energy source for dogs. If you break it down, this dog food has enough nutrients to support complete health. It is a modest and nutritional product with many benefits. This includes weight and allergy management, digestion, joint, muscle, and coat health. The prebiotics present in this food is good for easing indigestion. It even regulates better bowel movements in older dogs. Aside from that, the vitamins and riboflavin supplement add both nutrition and flavor. This is important for a dog with digestive problems. Each kibble is coated with probiotics or friendly bacteria to ease digestion. You will even find chelated minerals which make the food easier to absorb in the digestive tract. The only disadvantage is that it has a high fat-to-protein ratio, according to studies. This is because it contains lamb meal ingredients that contain 300% more protein than natural lamb. The Purina One SmartBlend comes with all the right ingredients to suit your dog. It contains high-quality proteins, omega-6, and antioxidants. The perfect blend for a French Bulldog, if you ask me. Maltese need to be fed a consistent dose of proteins and omega-3 for muscle and eye health. And since Maltese are sensitive dogs, they need a stronger nutritional diet. This helps strengthen their immune system while fighting unhealthy habits. Some dogs are very picky when it comes to their food intake. So your first priority is to find something flavorful and healthy. Purina One SmartBlend contains glucosamine which acts as a tasty health supplement. And it also has powerful health benefits, which includes supporting healthy joints. It's time to create a wholesome environment for your dog. Be it with the help of an honest and hygienic food brand. The lamb and rice formula contains high amounts of protein. Also, each kibble is coated with highly digestible nutrients for better absorption. This is a well-known and well-respected brand, and now you'll finally know why. It is a good product to lift your dog's spirits and get active. No wonder people call it the best dog food for Shih Tzu, Maltese, and French Bulldogs! This food is a combination of dry and wet food. This is a great way t introduce a new diet plan for your dog. And soon you'll notice your dog finishing the wet kibbles faster than the dry ones. This keeps him alert and happy before every meal. The food contains rice triangles and lamb chunks. Even though these are digestible ingredients, your dog might make a fuss. Some dogs get in the habit of spreading the kibbles all over the place. This is because like the triangles better than the lamb chunks. You know a Shih Tzu when you've seen the long and luxurious coat and playful personality. Shih Tzu is small breed dogs and even though that they are, they need a lot of care because of their coat. According to studies, a Shih Tzu's diet must include protein, fiber, and carbs. These nutrients are essential to support your dog's immune and digestive system. If you didn't already know, this breed is prone to metabolic health concerns. These include extreme weight gain or weight loss. This can lead to a wide range of potential health problems, which you do not want to deal with. That said, the daily calorie count for your dog must be between 350 to 800 calories. Based on these factors, you can you choose the right dog food for your Shih Tzu without putting his or her health at risk. Carbohydrates are important nutrients for your dog, but it needs to be only a moderate amount. An excess of which can lead to obesity or lethargy. So a diet high in protein and low in carbs and fats is essential. Protein is good for leaner muscle mass. Rice, oats, barley, or sweet potatoes are good complex sources of carbohydrate foods. Based on your vet's recommendations, choose complex carbohydrates for your dog's diet. This is because simple carbohydrates can be a major cause of allergies in Shih Tzu. This is my expert take on improving the food intake of your Shih Tzu. The rest is up to you to find the best dog food with the best available ingredients. A Maltese is a well-pampered and sweet-tempered small breed dog. They have a very affectionate and playful temperament, which they are famous for. An average Maltese weighs 6 to 8 pounds, male and female. So what is the best dog food for Maltese? The average calorie intake for Maltese is 300 calories for active dogs. For older dogs, it shouldn't scale more than 170 calories. Like Shih Tzu, Maltese breeds are susceptible to gaining weight. So a healthy nutritional diet high in proteins and low in carbs and fats is important. Protein is essential for muscle health. When a dog is prone to weight gain faster than other breeds, you need a diet rich in protein. This regulates better metabolic response, which results in leaner and healthy pups. 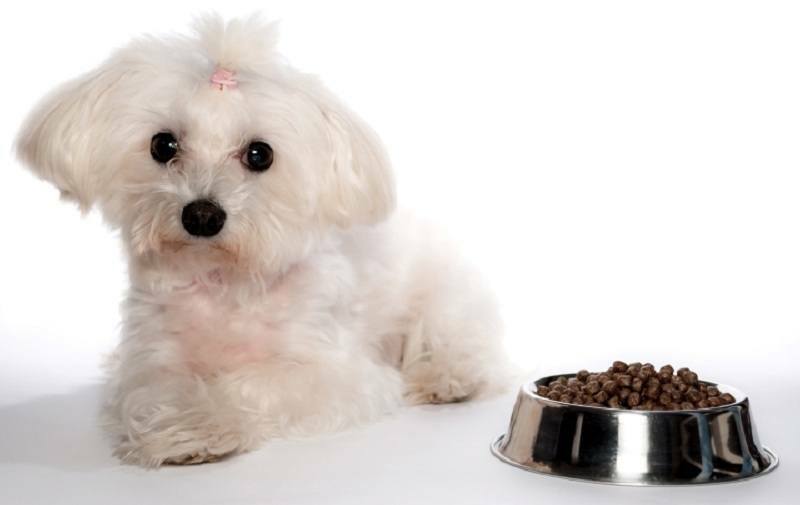 Dog food with at least 25% of protein content is good for your Maltese. Meanwhile, a diet high in carbs put your little one at risk. So you want to stay away from starchy carbs as that could cause digestive problems. Fats, unlike carbs, are good for hair growth. It's the only nutrient found in dog food that keeps hair healthy and shiny. Omega fatty acids are good sources of fats, which your Maltese needs. You can consider buying foods with fish or flax which are good sources of omega acids. We love French Bulldogs, don't we? They're an athletic, lively, sociable, and calm breed. With a rounded head, bat ears, and keen eyes, a French bulldog is the best companion. So what are you planning on feeding your dog to avoid putting his health at risk? The nutritional needs of a French bulldog aren't as complicated as you think. The average weight of a French bulldog is 28 pounds or less. An active French bulldog requires a caloric intake of 750 to 780 calories on a daily basis. And even fewer calories if he's a neutered dog or if he has metabolic conditions. French Bulldogs fall between small and medium-breed dogs. So their health concerns are more versatile than Maltese or Shih Tzu. They need extra care during the summer and spring months because of the heat and humidity. They develop nasal abnormalities very easily. Also, they have abnormal vertebrae, which could cause spinal problems. So it's important to feed your dog a diet rich in proteins and fat. Good sources of protein such as chicken, fish, or plant proteins are healthy. And for better skin and coat healthy, foods rich in omega fatty acids are essential. The latter also helps with brain and eye development for puppies. Older bulldogs need a combination of rich proteins and fats to fight many problems. This includes hair thinning, weak bones, eyesight abnormalities, etc. Small breed dogs make good family pets. They have an affectionate, playful, and lively temperament. And they’re soft and very cuddly to snuggle with. There are many reasons to opt for a new nutrition diet for your dog. It can be that your dog is gaining weight faster than anticipated. Or she has a digestion or metabolic problem that demands specific types of nutrients. Or you’re looking for something that is best for dogs with a sensitive stomach. In conclusion, the only good thing you can do for your dog at such times is to improve her diet. This means serving your dog a blend of vitamins, minerals, proteins, and omega fatty acids. To sum it up, the best dog food for Shih Tzu, Maltese, and French Bulldogs is the BLUE Life Protection Formula. It contains chicken and brown rice- fresh and delicious to serve. If your dog has skin problems and gastrointestinal problems, go for this one!